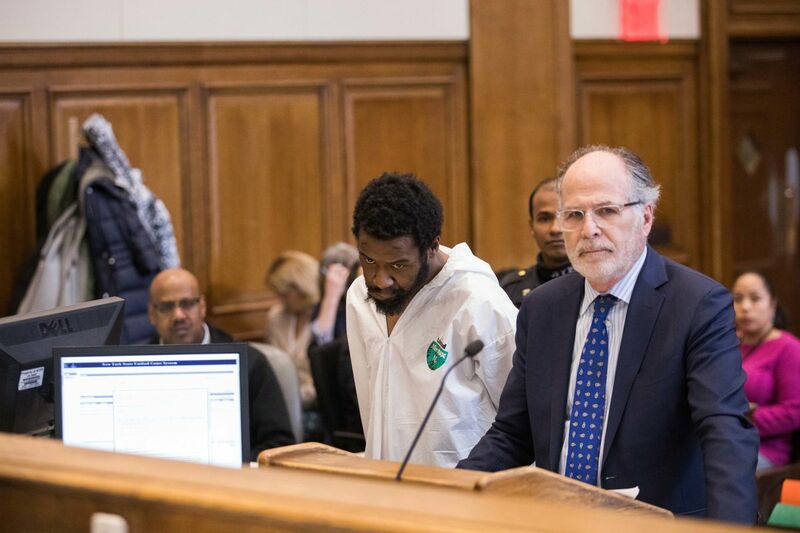 A Brooklyn man was arraigned this morning on a murder charge after police performing a welfare check discovered the decomposed body of his mother, who had been stabbed to death and set on fire. NYPD officers were summoned by the victim’s colleagues to her apartment just before 3pm on Wednesday, after the woman failed to show up for work that morning. The woman's son, 32-year-old Jason Reeves, met the officers at the door of the unit. When asked about his mother's whereabouts, Reeves reportedly replied that she 'went out,' reported NBC New York. But police smelled a foul odor coming from inside the unit and executed a search, which led them to Reeves' 67-year-old mother inside a bedroom closet. The woman was dead from multiple stab wounds to the chest and face. Her partially clothed body had been torched and then left to rot, according to police. It is believed the woman had been dead for several days. Reeves was then arrested on a charge of second-degree murder. Residents said the victim was originally from Jamaica, and described her as a devout churchgoer and devoted mother. One neighbor, Asia Djones, 59, said the woman’s son struggled with drugs. Others said he suffered from mental illness. Another neighbor, Jacqueline Npaye, called the mother “a beautiful person.” But she said the son was a menace in the building. Police have arrested a 32-year-old man they say knifed his mother to death, then set her body on fire before stuffing her remains in an apartment closet.